Which came first, the Chicken or the Egg? - Is pre-qualifying a borrower like rocket science??? Let's put aside the appraisal issues, the mortgage insurance issues, credit scores, and several other factors, because those would be some of the main reasons why it is harder to approve someone. I just wanted to dwell on the basics that so many seem to forget or overlook. I bring this up because Lenn Harley wrote a blog last week, Qualifying borrowers is not rocket science, which has received 200 + comments. If you haven't read this, I suggest you do. When I asked which came first, the chicken or the egg, my basic point that I would like to make is whether a borrower should be qualified to the maximum purchase price or the payment that they feel most comfortable with. There would be many arguments that would defend both sides. But let's think about this for a moment and what Lenn Harley was trying to convey in her post. Lenn was trying to determine a price range with those potential borrowers and not take a loan application. She was using a basic method... Qualifying ratios and assets. It's very simple. Lenn was using 30/40 ratios, which would be 30% for the front ratio and 40% for the back ratio. The normal conventional ratios are 28/36 and for FHA loans, they are 31/43%. But let's not stop there. Lenn wanted to know about the buyer's assets also. If one had 10% to put down, and with those ratios, qualifying the borrower would not be rocket science. Yes, we need to check their income and credit scores do matter. Lenn has a few preferred loan officers that she works with, who would pull their credit. And Lenn has a financial sheet that she asks all borrowers to fill out, which would also question other debts that they have monthly, their monthly reoccurring debt. All she wants to do is see if they would fit the basics, to make sure it would be worth driving them around for a day, just to get a feel for what is out there. If they didn't fit the basics, she would then advise them to get fully pre-qualified by a reputable loan officer. I found that to be very basic and easy to understand message. Let's take the qualifying issues a little further. 1. How much of a mortgage payment would you be comfortable with? A payment range, to include taxes & homeowners insurance. 3. Is the property a SFD, condo, duplex, tri, etc, etc? 4. How long have you been on your current job. 8. 2 part question - What are your total assets to include checking, savings, 401-k, stock options, etc, etc. And how much of this do you want to use. 10. (I do ask if they have had credit pulled in the last month or so, and if so, if they knew their credit scores) And I ask specific credit questions, relative to their payment history. PS… and part of my interview process, I always ask my borrower’s goals. Both now, the near future, and the distant future. What is one of my biggest problems/pet peeves in this mortgage business? It's those individuals that claim to be both a loan officer and a realtor. Someone that can help you find a home and at the same time, do your mortgage application. This is not what Lenn Harleywas claiming to be. If you are working with someone that is doing both for you, I would highly suggest that you find someone else. I have many reasons for this and some will disagree. What I find that so many borrowers are stuck on, fixated on?? It's that they want the best interest rate, yet they don't have a trusted loan officer that will ask them the first question that I try to ask first all the time. What payment do you feel comfortable in paying?? Summary : Yes, we all want the best interest rate. But the best might not always be the best for you. It can certainly be a balancing act, trying to get the best of everything. But I strongly think that we need to focus on what is good for you, and not how much of a house that you can get. I think that was the point that Lenn was trying to make. Besides, who cares if your rate is 5% or even 6%, when your payment would be $3,000. And that you could actually qualify for that $3,000 payment. But that payment is too high for you and you really wouldn't feel comfortable going over $2,000 a month. Hence why I ask the questions that I ask. One last thing. Where do I see the major issues to why so many are denied last minute, outside the appraisal issues? Numbers 5, 6, 7, and 10. It truly comes down to so many loan officers that don't know how to accurately calculate income and to properly read a credit report. This is my opinion, but I have closed many loans in the last 2 years that were denied last minute by other lenders due to these two issues alone. And yes, I still got them to close. For important mortgage insight to watch for, please read : Consumers need to be aware of these Red Flags !!!! I totally agree with your point about loan officers who can't figure out debt ratio's and income numbers from tax returns. I think the 2004-2008 era will be known as the "Fat and Stupid" period of mortgage lending. With the automated underwriting findings pointing to approval on almost every proposed file, and with generous underwriting staffs, and they wonder why there were so many horrible files! I'm also finding idiots who are telling their clients they don't qualify, because they've never taken the time to understand how a 1040 breaksdown, and which deductions that they can add back to the income. So some loans walk down the street to another broker who does understand and the idiot who turned them down is now scratching his head and wondering what the hell! Mortgage lending isn't for dummies anymore. Those who think so should find another career. All of the things you mention are so relevant. I also agree that what they comfortable with is more important than what they CAN borrow. I think folks should not live just to make a house payment. Sorry...that is why I am the professional at finding them the home, and negotiating their contract, and that is why you (or hopefully any mortgage person) is the professional in helping my clients get their loan. I'm not going to be doing ANY pre-qualifying type questions as they relate to what they want to pay, etc. There are to many variables in your end of the deal for me to stick my foot in that pond! Thank goodness there are professionals we can rely on to, well...do their profession! KARL.... . I'll be honest, I don't take the income tax returns as seriously in this post. Depending on the type of returns, this is not always as easy. And it also depends on how many times you get self-employed people. My main concern is if they know how to read a pay stub, if the borrower is paid 26 times a year or 24 times a year... that slight difference can sometimes make a big difference. Or those that use overtime on a new job less than a year old, in other cases, less than 2 years old. I had this happen to a client in Miami, FL. Gee, the deal fell apart last minute with the previous lender. I truly do think that understanding the basics is easy and doesn't take much time. All you need to do is understand income, assets, and credit. Seriously, how long does that actually take to learn? thanks for your input. BARBARA..... I agree 110% that it should be what the borrower is comfortable with and that this should be mentioned first. I was attacked by a loan officer on here in the beginning of the year, that said I was a car salesman for asking this question first. LOL And wrote a blog about me and my methods. In my own personal opinion, we had so many loan officers qualify people to the max first, that the client wasn't really ever told their payment, just purchase price... found that house... fell in love with it, then realized the payment.... and then talked themselves into it.... thinking they could make it. My sister's friend did this last year, using someone else that made it work... not me.. and now they need to sell the house.. and now at a loss. I think your estimate of 60% not know what they are talking about is still high. I am still amazed at how many people truly should not be licensed and talking to clients. I truly think with the guidlines being so black and white now-a-days - the qualifying has gotten a lot easier - its just the population of clients fitting the box has gotten smaller. Jeff, Excellent Bog and right on point. I've gotten to the point with customer that I have them also fax me their paystubs, W-2's and bank statements. I can't tell you how many times potential buyers not give me correct income and asset information. A pre-approval/pre-qualification is much stronger when we actually look at the documentation. I always defer to my lender before we go shopping. There is NO point to trying to get something you can't get. Great lenders always do their due diligence prior to issuing a pre-approval lender. I would give you a whirl but you weren't licensed in NV last I checked. I am sure you are one of those great lenders who makes sure it works before issuing a letter. I like your approach in asking the client how much of a mortgage payment they are comfortable with. I do the same thing and quite often that is all the client qualifies for anyways. The Lending process is still one of the most stressful occasions in many clients' lives. This is a great way to reduce the stress of the transaction. When a client understands that they are not making big changes in their budgets, they feel better about moving forward to purchase a home. If they are qualified for more, I do advise them of that. This also gives them an idea of what price level of homes they can consider in case their chosen price range does not have the caliber of home they desire. Most times however, they don't stray from their initial price range. Jeff I always Pre-Qual my clients for the Realtor, prior to them showing any properties. I feel by doing this they don't waste any time in looking at properties they do not qualify to purchase . I even go one step further and get a Approval from the lender and send that along with my pre approval letter to the Realtor and client. I have also made it a point to now getting a automated underwriting approval done before giving the go ahead. It is totally necessary these days when you're fighting to get banks to lend. Jeff, I hear you. How many times have you had a conversation with a self employed borrower that "made 400K per year" but neglected to mention the 390K in expenses to achieve that 400K. That is 10K in income in my book! (yikes, the Agent showed this client 38 homes in the 750K range) Agents should always confirm with his/her favorite lender that a prospect has provided income/asset documents along with pulling a credit report and performing the required due diligence. Great post. As a rookie, I love reading your posts! I've learned a LOT about the loan process. I just wish you were here in Kentucky!! We've been having a dickens of a time with last minute denials, sudden "issues" and waiting FOREVER to get to closing. I've got 2 pendings right now that are at 90 and 60 days. Then 90 day just got a closing date yesterday and the 60 has no closing date in sight. It's frustrating for everyone involved! Especially when you are calling the loan officer asking for updates and get the response: "I don't know where we are-I'm just waiting to hear an update just like you!" Thank goodness it's not my buyer, but it's extremely frustrating for my sellers! I'm pretty hands on and call my buyers loan officer at least once a week to check for issues, updates and progress reports. Great post. It sums up my philosophy it's not what you can afford, it's what you want to spend. I really enjoy reading your material, and it is refreshing to see people that know what they are doing. For many many years, I have asked Question #1 and that is the most important one. What they qualify for and what they are comfortable with are almost always worlds apart. Thanks for sharing your information with us. Good post. I've been a licensed Realtor for almost 4 years. 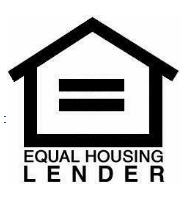 But as the 1st of this year I will be working with a Mortgage broker doing loans. I've been told that I need to be S.A.F.E certified. Are these courses I can take through someone like Allied or NAR classes? This is a fine article, Jeff, and also does a great job of placing the qualification process in clear perspective. Thanks for posting. You are correct - the rate doesn't matter if the payment is more than you can afford. Find the right payment and then find the program and loan amount to get them there. I wanted to reblog this with the other post since they both have important information for buyers! thanks! Find NJ real estate agents and Cherry Hill real estate on ActiveRain.